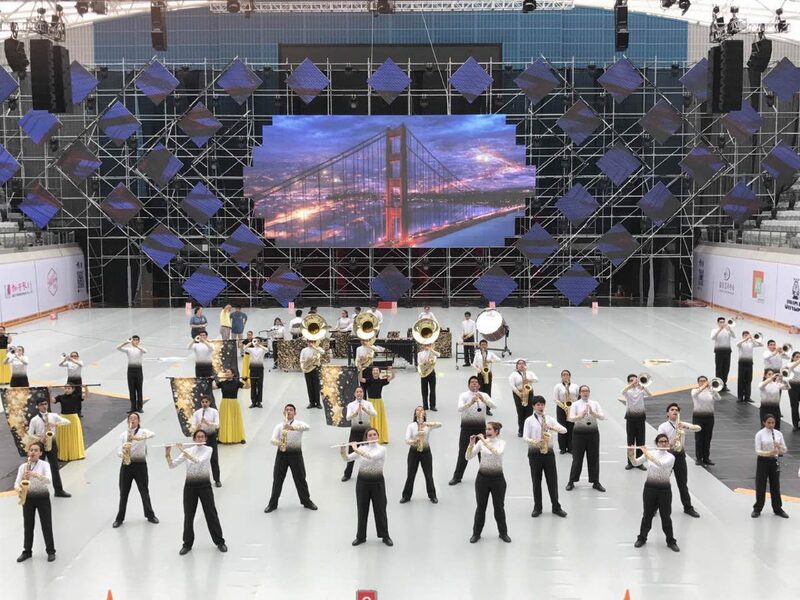 Edinburg North High School Band takes the stage at the Zhengda Gymnasium at Fudan University in Shanghai, China. EDINBURG — The Edinburg North High School Band recently performed at the 34th Annual Shanghai Spring International Music Festival in Shanghai, China. The three-day marching band festival, included international groups from Germany, Malaysia, Indonesia, Thailand and several groups from China. Edinburg North’s participation in the festival marked the first time in five years that a band from the United States attended the event. “It was a great experience for the kids to go half way around the world and share the stage with groups from China, Malaysia, Indonesia, Germany, and letting music be the key to share with everything in our performances,” Edinburg North High School Head Band Director Chad Dempsey said. The 63 band members performed three times a day at several venues. Some of the highlights, included performing at the Fudan University for the festival’s opening ceremonies and gala, and sharing the stage with the Chinese Navy Band and the People’s Liberation Army Band. “Every night, we played at this gym with about 5,000 viewers and all six countries were represented,” Dempsey said. While in Shanghai, the band visited the Pearl Tower, Shanghai Tower (the second tallest building in the world), the Jade Buddha Temple, Old Town Shanghai, Nanjing Road and the Bund, which is a waterfront area in central Shanghai.